Roger Federer eased into the second week of the Australian Open with a 6-2, 7-5, 6-4 win over Richard Gasquet on Saturday evening that kept the Swiss on course for a 20th grand slam title. 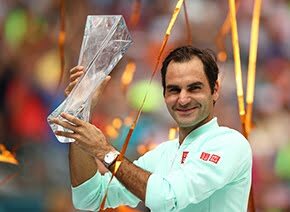 A year after Federer won the title despite coming directly off a six-month layoff due to injury, the Swiss is attempting to tie the record currently held by Roy Emerson and Novak Djokovic of six Australian Open titles. To Gasquet’s credit, the Frenchman battled until the end. Federer appeared in cruise control serving at 4-2 in the third set. But the 14-time ATP World Tour titlist found some of his best tennis to save three game points and break back, before playing a solid service game of his own to even the set at 4-4. 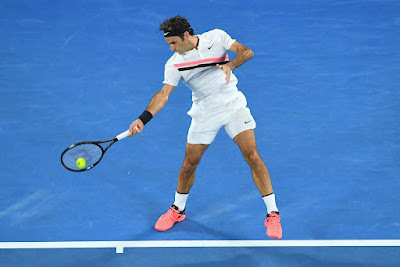 But true to his good form, Federer found a way to bounce back and on his second match point in Gasquet’s next service game, scrambled to reach a Gasquet volley, flicking a backhand passing shot down the line to clinch the victory on his second match point. "I was hoping I could play at that level. 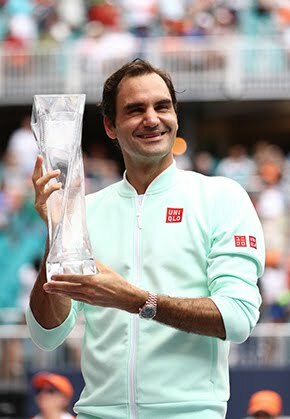 I'm very happy that I was able to rise to a level that I needed to beat Richard," Federer said in his press conference. "It was tough. The score shows it, as well. I could have done it maybe a bit faster. At the same time I'm happy to have done it the way it happened. I was pleased. I think I had some good shots." Federer won 80 per cent of his first-serve points and knocked 42 winners past his opponent to advance. But he was not the only one who showed good tennis - Gasquet struck 27 winners on the evening. "I enjoy when we have good points. I like to see, I don't know, the way he saved match point. The first one was a backhand down the line. Feels like he can do that in his sleep," Federer said. "I admire that. I take pleasure out of him making that shot even though for a second I thought that this could have been the match point I had and end up losing the match. That really went through my mind. But I do take pleasure out of his shot-making, my opponent's shot-making, because I know how much hard work has been put into it." Federer will next face Hungarian Marton Fucsovics, who defeated World No. 93 Nicolas Kicker 6-3, 6-3, 6-2 in one hour, 56 minutes. The fourth-round matchup will be the first meeting between the pair. Fucsovics, who is at a career-high No. 80 in the ATP Rankings, arrived at Melbourne Park without a main draw Grand Slam victory in three attempts. That has not stopped him from winning his three matches thus far, though. The 25-year-old, competing in his first Australian Open main draw, broke six times and captured 59 per cent of points in the match to triumph.